As the federal election moves into its final stretch, it's useful to remind ourselves of one of the major roles of government: stewardship of the commons. It's no coincidence that the institution where our government transacts its business is called the House of Commons. As the federal election moves into its final stretch, it's useful to remind ourselves of one of the major roles of government: stewardship of the commons. It's no coincidence that the institution where our government transacts its business is called the House of Commons. And there's no better place to start than to understand an important concept: tragedy of the commons. According to Wikipedia, tragedy of the commons can be described by "a situation where individuals acting independently and rationally according to each's self-interest behave contrary to the best interests of the whole group by depleting some common resource." This definition may be a bit esoteric but a couple of examples can help set the context: public bathrooms and potholes. Have you ever noticed that public bathrooms are generally dirtier and more unkempt than your bathroom at home? And users of the public facility have no problem using more paper towels than necessary to dry their hands - without concern for whether there's any left for the next person. And for men lifting the toilet seat? Forget it. Likely, this behaviour would not happen at home where changing a depleted toilet roll is de rigueur so the next family member or visitor won't be faced with an embarrassing situation. Public bathrooms fall into the commons and are of lesser relevance to individual concerns. Tragic. This is the same with potholes. For drivers (especially owners of fancy cars), potholes are nuisance yet there's rarely a situation where the driver will stop to repair a pothole much less alert the authorities of its existence. Generally, after some cussing a driver may fleetingly say to herself, "Gosh, I hope they fix that pothole soon." Potholes fall outside the realm of individual responsibility yet it would be easy for someone, anyone, to see that it's looked after. But this never happens. Drivers all hope that "they" will look after it. So who's they? Well, in this case, the "they" are government. It goes to reason if individuals don't feel responsible for issues and problems that fall into the commons, then these jurisdictional responsibilities should fall to government. Hence, government should be the force that makes tragedy of the commons, non-tragic. Nowhere is this more evident than in the Conservative government's treatment of the environment and climate change. These issues fall into the commons where no individual can make meaningful change yet wide sweeping government policy can make that difference. However, because the environment does not cause individual pain the way a pothole could, few complain. And surprisingly those who complain are accused of being radicals even though they are just forcing government to uphold their end of the bargain. 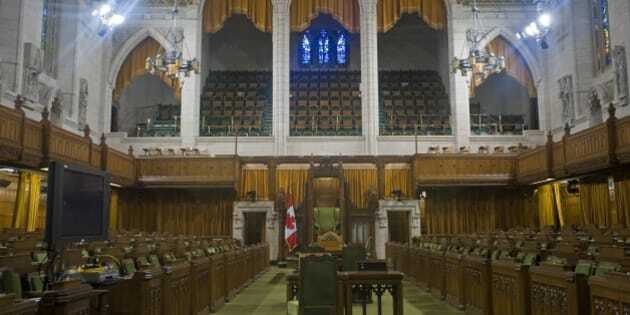 Yes, the commons are the responsibility of government and so far, the Conservative government has abrogated its role as stewards of the environment (and many other concerns as well) and therefore, the commons. Instead, they have allowed private and industry motivations to take precedent over the common good of Canadians. All Canadians support a strong economy but why is it that the oil and gas sector, and their executives and shareholders, will benefit from public policies that benefit few and hurt many, including the damage it does to environmental degradation and increased carbon emissions? As a businessperson, I'm in favour of free markets but when industries infringe on the commons then that's when government needs to step in and curtail their activities. So if a business pollutes and sends effluent into rivers, that's an infringement of the commons. Tailing ponds that leech into natural environments are another example of business overstepping their boundaries and it's precisely this situation where government needs to play an active role in protecting the commons. Yet, sadly this is not the case. Because the environment falls into the commons it's an easy problem to ignore and the Conservative Party knows this. However, it doesn't make it acceptable. Remember, protection of the commons and this should not be at the expense of furthering private businesses or the economy in unsustainable ways that do not benefit Canadians as a whole. If we look through the lens of the commons it becomes apparent that this is a core responsibility of government. And as far as the Conservative government is concerned, care for the commons has been lacking. As human beings we are all self-interested and self-motivated. Often we feel we can make little difference in the course of major events. In fact, elections themselves, to a degree, fall into tragedy of the commons. This applies in particular to those who don't vote as a non-vote depletes the will of the entire populace to elect a government that is truly representative of the commons. So remember to vote on Oct. 19 and vote for yourself and in favour of the commons. Canada will be a much better place for it.